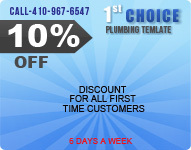 We provide water heater repair in the Greater Baltimore area. We service all types of water heaters, traditional, tankless, gas and oil powered, and will help you with water heater maintenance, selection, and the decision as to whether to repair or replace your old water heater. Call our office at 410-967-6547 for more information and a free water heater replacement estimate. Water Heater Purchase and Selection. If saving money is a priority, you might do best to purchase your water heater at a large retail chain. Large outlets such as Loews or Home Depot are likely to have the best water heater prices. However, if you have more money to invest in your water heater it is worth keeping in mind that large outlet water heaters are usually made with inferior parts and labor; that’s why they can be sold so cheap. They usually come with shorter warranties, and buying parts, such they need repair, can be challenging. In the long run, we recommend you buy your water heater from us (trust our judgement) or at least from a plumbing supply house. And buy one of the big four models. They may cost more, but with longer warranties, better access to part, they are likely to save you money in the end. The EF (Energy Factor) = hot water produced per unit of fuel consumed per day. Using these two factors, you can determine the annual cost of running the water heater you are thinking of buying and then compare it to the cost. The savings per year for the more fuel efficient unit, (annual accost of running the less efficient unit) – (cost of running the fuel efficient unit). Now divide the value of equation 1 by the value of equation 2. That will tell you how many years you must run the more efficient unit until it pays for itself. If your heater has broken down, and the warranty is over, we can advise you as to whether or not your unit can be repaired or needs to be replaced. Our master plumber will review questions of cost efficiency and help you decide whether to repair or replace. The advantages of a brand new heater include a new warranty, plus greater energy efficiency, which is found in all new heater models. We can help you find the appliance that is right for your family, and can explain to you about energy efficiency ratings found on the newest models. Our services include selection, advice, installation, and follow-up maintenance.
" 1st Choice Plumbing completed a very big job for me requiring eight hours to complete. I was very pleased with the professional manner in which everything was done from start to finish! Mr. Urszuy was very good with follow-up at every point along the way. He was very honest about the work , the quote and subsequent invoice. 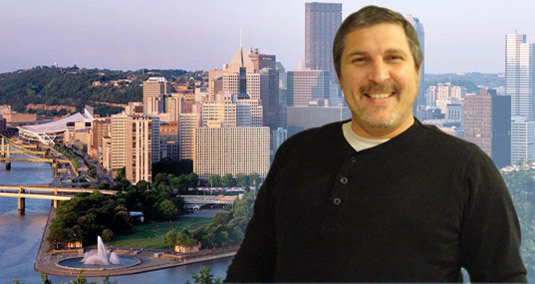 I would not hesitate to recommend him and his company and have made him "my plumber for life!" . I have never, ever,... had anyone do plumbing work with the level of quality that Pinchas executes. You would be hard pressed to find the workmanship and excellence that he produces as his work product.